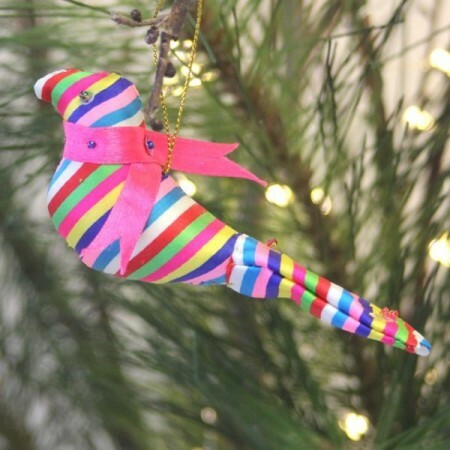 A handmade dove christmas decoration made from reclaimed fabric off-cuts from the garment district in Cambodia. 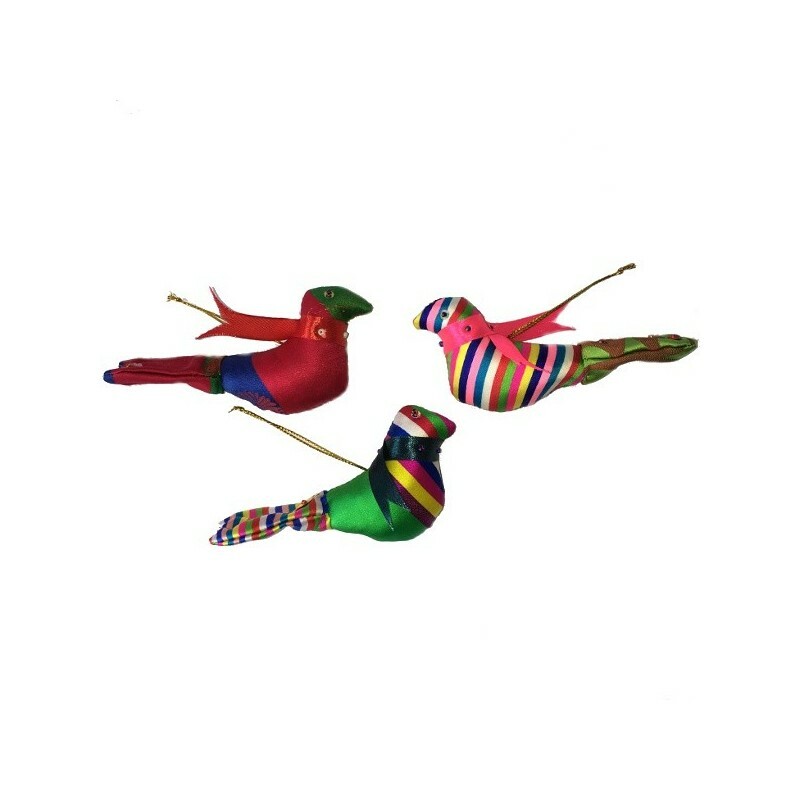 The fabric for these decorative doves would otherwise have ended up in landfill. Various colours. Fair Trade, directly supports Cambodian families. Made by husband and wife Suoy and Yom with their family in Cambodia. The couple are currently teaching several other families to make the decorations so they can pass on their skills to other disadvantaged people. They also provide employment for single mothers and the elderly. Made using upcycled and reclaimed fabrics that would otherwise end up in landfill. Made from a mix of upcycled clothing fabrics. Each item is handmade and therefore unique. 10 x 3cm. Various materials. 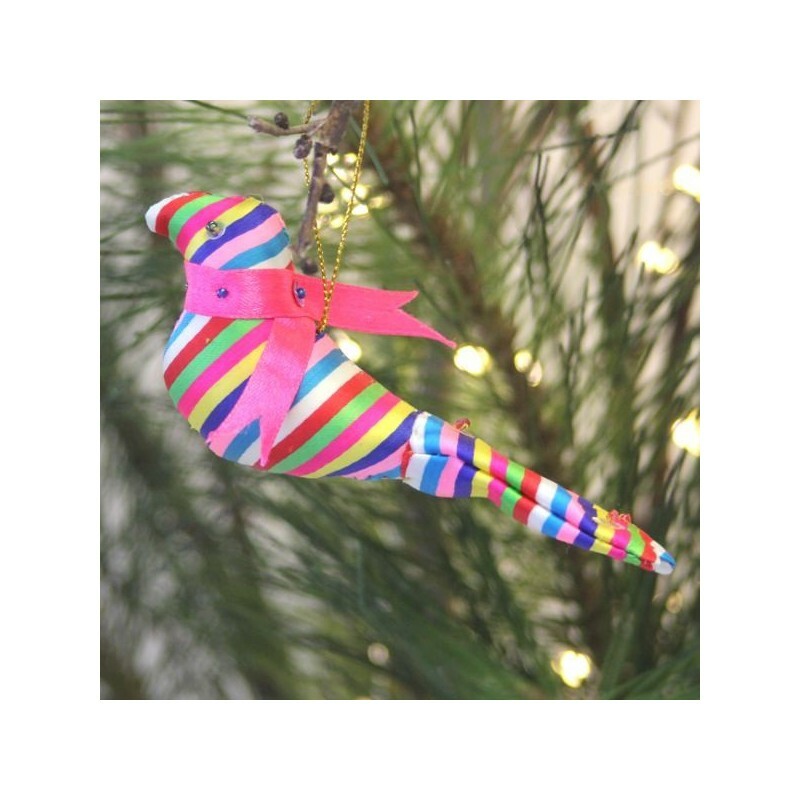 Browse our other Fair Trade christmas decorations. Got this in blue colours and it is beautiful.